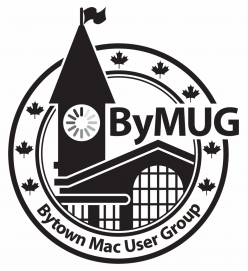 ByMUG: The Bytown Mac User Group of Ottawa – Over twelve years of Mac & iOS devices in a fun and social setting. Sorry folks, I made an error – the meeting is on Sunday, March 3, not the 2nd! For March’s meeting I’d like to remind everyone, we’re still trying out our new venue, Share Plates N Drinks, a few doors down from our old location. We’re going have a great meeting; Ron will cover recent relevant Apple news, Leanna will demo the Alexander technique, Dave will talk about text editors (which should be a spirited discussion as many are passionate about their choice), Tom will talk about some apps to help improved our productivity, and then we will also try to answer any other iOS/Mac-related questions as best as we can. The meeting takes place on Sunday, March 3, 2019, at 1 p.m. at Share Plates N Drinks, located at 47 Clarence Street (just a bit west down the street from where we used to meet).